Party season is nearly upon us which means it's time to start thinking about what to wear for all these Christmassy evenings! So above are just a few of my favourite pieces on the highstreet for this party season. It's pretty and pastel with quite a bit of glitter (no surprises there!). 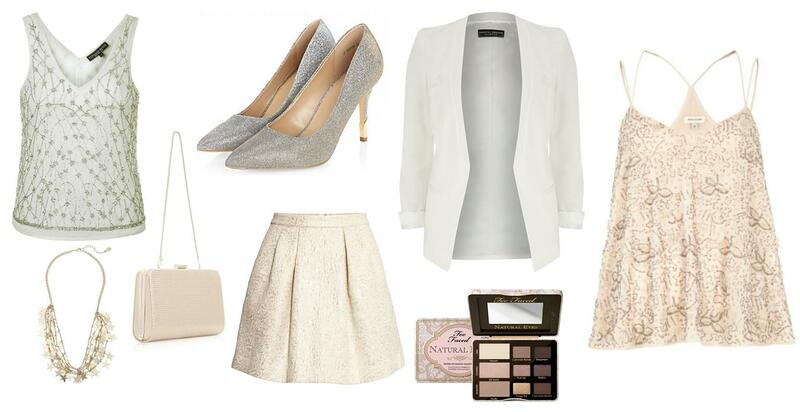 So I hope this gives you some inspiration or at least gets you excited about planning some glitzy evening outfits!